Event Description: An exciting opportunity to learn how to go Classic Car Rallying then put it immediately into practice on a Regularity & Test. Designed to take you through each step of the process, from scrutineering and signing-on through to timing and Route Book.Simply unmissable for anyone seriously thinking of tackling their first event or for a crew that has already done one or two events and wishing to learn more. Event Description: American car show at the Museum of Power, Essex. Classic American cars, Hotrods, Custom cars & kit-cars display. Stalls, Autojumble & family entertainment. Museum & tearoom open. Event Description: Stately Burton Constable Hall offers the backdrop to our concours event which attracts over 300 varied classic vehicles, vehicles will be parked formally in their relevant classes and prises will be awarded to best vehicle in each class. Normal Admission prices apply, vehicles on show from 11:00am. Times:Vehicles on show from midday. Event Description: Once again Greater Manchester Transport Society hold theirr traditional rally at Heaton Park, the largest event of its kind held in the North of England! Family friendly day out featuring classic & modern transport. Event Description: Shere Hill Climb has become one of the most successful Hill Climb events in the UK. In only 6 years we have come from standing start to a great, eclectic event with over 170 vehicles running the hill, motoring stands and stalls, family entertainment and an affordable social day of fun in the beautiful Surrey countryside. We have always looked to be a 'triumph of the eclectic'. You don't HAVE to have the latest Hypercar, you don't HAVE to have the most valuable classic; we are looking for a mix of all sorts of cars - and the story behind the car is as interesting to us as anything else.In addition to the hill climb, the paddock is open, friendly, social and a great place for owners, drivers and enthusiasts to chat. Event Description: MSCC Club sprint Curborough Staffordshire This Sprint is for any type of car. Number of Cars Attending: 1000? Event Description: If you have attended any of our previous Frankie�s Classic Car Fests you will have noticed what a great day out it is with our live acts on the Frankie�s Stage, the vintage market, selection of street food and of course the array of stunning classic cars that will bring back great memories and dazzle the public. Last year�s event had over 350 cars exhibiting and attracted on the day 4,000 visitors. Event Description: A day devoted to stars and stripes as Brooklands welcomes some magnificent Mustangs and a whole host of American cars and motorbikes. Expect a feast of chrome and colour with some gleaming Dodges, Chryslers, Hot Rods and Customs in and around the Paddock. 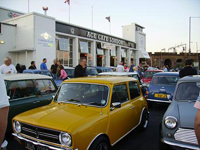 Event Description: Classic cars, motorcycles, light commercials, ex - army and classic 4x4's plus club stands. Trade stands, autojumble plus show arena on display on the event field plus the tilting greens and the tower courtyard at the historic Hoghton Tower. 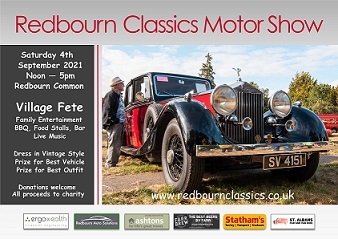 Before the summer holidays end, take the opportunity to visit this exciting venue hosting the last Classic car show of 2019. Specially extending the summer season, Hoghton Tower near Preston will be packed with classic vehicles, stands and exhibits. 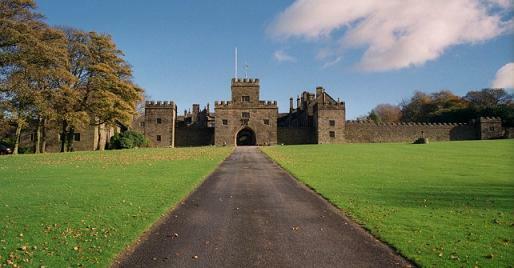 Hoghton Tower is a fortified manor house which has been home to the de Hoghton family since the 12th century. Just 6 miles from Preston, it is easily accessed from the M6, M61 and M65 motorways. Let the kids run off the last of their summer holiday energy exploring the walled courtyard, tilting yard and extensive grounds. Standing on the highest hill in the area, its commanding views make a stunning backdrop for photographing these classic exhibits. See hundreds of classic cars, motorcycles, light commercials, ex-army and classic 4x4's on display right up to the dramatic Tower ramparts. Event Description: Himley Hall, which is an 18th Century Building set amongst 180 acres of landscaped parkland. The classic & retro show presents a fine selection of over 800 vehicles as well as trade and autojumble stands. There will be a number of static displays to see including saloons, sports, American, commercial, military and classic motorcycles. 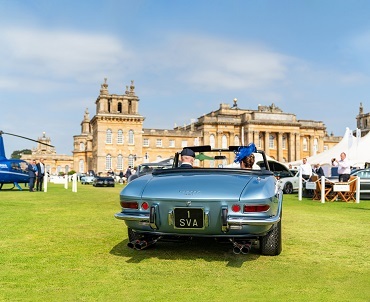 Event Description: The UKs favourite automotive Garden Party returns to Britains Greatest Palace. A spectacular collection of the rarest and most desirable classic & supercars awaits along with a hand-picked selection of the very latest luxury brands & products. Wine, dine, relax and enjoy the unique ambience and atmosphere that makes Salon Prive a calendar favourite. Event Description: Bournemouth & Poole Preservation Club Limited Vehicle Rally and Swanage Steam Gala Weekend. 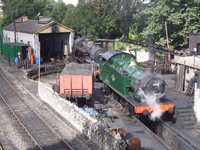 Held in conjunction with the Swanage Steam Railway Gala Weekend & Swanage Folk Festival Weekend. 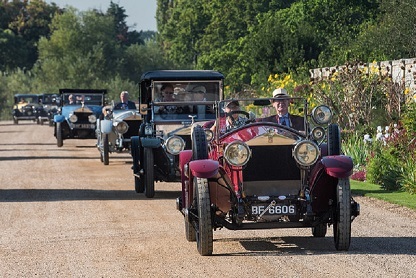 Event Description: The Concours of Elegance 2019 will take place at Hampton Court Palace, as the UKs leading concours event looks to build on its truly international success. Nominated for the seventh consecutive year for Motoring Event of the Year at the Historic Motoring Awards, this years Concours of Elegance, presented by A. Lange & Sohne attracted more guests, more exhibitors and more astonishing cars than ever before. 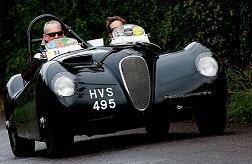 Many of the Concours cars will also take part in a 2 day driving tour in the days running up to the main Concours event. 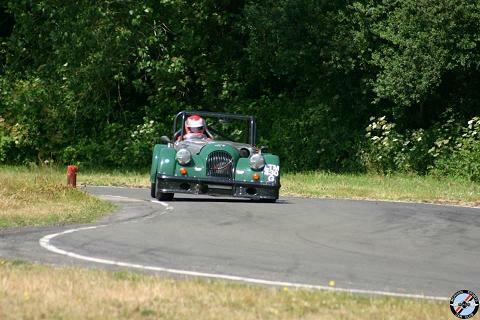 Event Description: A two day event featuring rounds of both of the UK�s premier series the British & Midland Hillclimb Championships. Event Description: Family fun day with lots of village stalls & activities. Space for approx. 280 classic cars and 50 classic commercials. Open to classic cars, bikes, tractors and trucks (over 25 years old). Vehicle entry by pre-booked ticket only (minimum �5 donation). Form available on website Open to the public - donations welcomed on the day. All proceeds go to local charities Food stalls, Bar & BBQ, Live music and entertainment, raffle and charity stalls.